Will Ronaldo break his duck? Sunday's game is an unlikely top of the table clash which Juventus won't be taking lightly. Massimiliano Allegri has always found it tricky coaching against de Zerbi. "Juventus were the best team in Italy. Now they're the best team in the world," Sassuolo coach Roberto de Zerbi said last week. His team are up against it at the Allianz Stadium. The Neroverdi lost 7-0 in Turin in February and flirted with relegation in the spring. But a lot has changed in the meantime. Sassuolo upset Inter on opening night and blew Genoa away before the international break set in. Top scorers in Serie A, de Zerbi warned against writing his team off. "We are second, you know," he said with a wry smile. Sunday's game is an unlikely top of the table clash which Juventus won't be taking lightly. Massimiliano Allegri has always found it tricky coaching against de Zerbi. Juventus needed an own-goal to beat his old Palermo side and fell behind to Benevento at the Allianz Stadium last season. Playing at the Vigorito was no cakewalk either with the Bianconeri only making absolutely sure of all three points in the final 10 minutes of the game. 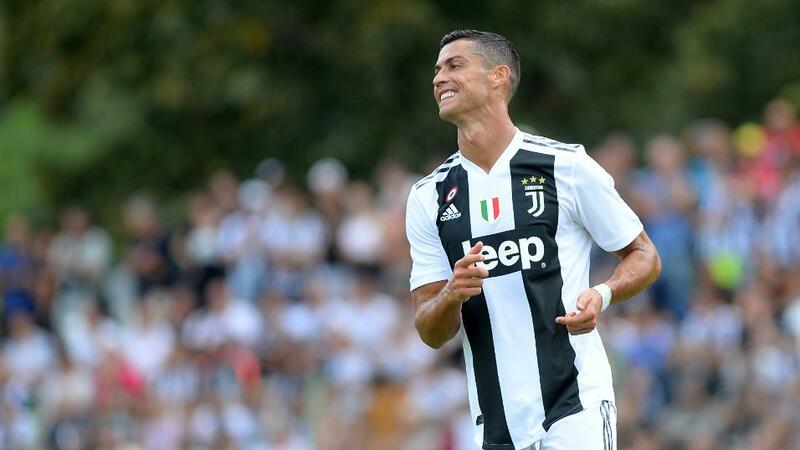 Of course much of the focus remains centred on Cristiano Ronaldo and whether or not he will open his account for Juventus after his €117m move from Real Madrid in the summer. His performance against Parma was called "technically and tactically embarrassing" by La Repubblica who weren't the only ones left with the impression he tried to over-do it in an attempt to get on the scoresheet. The 33-year-old is expected to play at the weekend after spending the international fortnight training in Turin. Aside from the attack though it looks as if Allegri is planning wholesale changes with a trip to Valencia on the horizon next Wednesday. Allegri believes Juventus' second string is good enough to finish in the top four in Serie A. But Juventus will have to be careful. Encounters with de Zerbi are usually close run things and Kevin Prince Boateng was arguably the best player in Serie A in August. Take Both Teams to Score @ [2.06]. There were 11 goals when Valencia played Betis last season. Valencia ended up winning both encounters, which included a contender for game of the season at the Benito Villamarín. It ended 6-3. In the end it was a successful campaign for the pair of them as Valencia returned to the Champions League and Betis finished above bitter rivals Sevilla to qualify for the Europa League. Ambitious recruitment was a feature of their summer but, it's fair to say, results have so far fallen short of expectation. Valencia are just a point outside the relegation zone and still yet to claim a win while Betis have scored only once despite their reputation as La Liga's great entertainers. It was the winner in the Seville derby though, ensuring spirits were high over the international break. But Valencia have to come good sooner or later. Michy Batshuayi is an upgrade on Simone Zaza. He just needs game-time and Rodrigo looked in good shape over the international break. History is on their side in this fixture with Marcelinho boasting a strong record against Betis and Quique Setien. Back Los Che to kickstart their season and for it to be Valencia/Valencia in the Half-Time/Full-Time market @ [2.7]. It was disappointing to see Napoli lose ground on Juventus before the international break. For all the praise heaped on Carlo Ancelotti for making the right adjustments and inspiring thrilling comeback wins against Lazio and AC Milan, his team's willingness to live dangerously was going to catch up with them sooner or later. Ancelotti found out why his predecessor Maurizio Sarri was reluctant to deviate from his strongest XI as his decision to rotate Marek Hamsik and Jose Callejon backfired at Sampdoria. Whooped 3-0 at Marassi, it was a reality check for Napoli who appear caught between one manager's ideas and another's. Fiorentina's visit to the San Paolo on Saturday doesn't make things any easier for the Partenopei as their uphill start continues. Ancelotti needs to get the balance right and think carefully about what changes to make ahead of an intimidating trip to Belgrade to play Red Star in the Champions League on Tuesday. Fiorentina will fancy their chances of taking advantage of any uncertainty down by the Bay of Naples. Stefano Pioli's side are on maximum points and are brimming with youthful enthusiasm. Undefeated in their encounters with Napoli last season, it was Fiorentina who definitely ended the Partenopei's hopes of a first league title since 1990 with a 3-0 win at the Artemio Franchi in late April. Given how much the Viola have matured in the meantime, it's worth giving serious consideration to them getting something at the San Paolo. Why not take them on Double Chance @ [2.56]. Marco Benassi and Federico Chiesa are decent shouts as Anytime scorers at 7/2 on the Sportsbook particularly with Napoli looking so vulnerable at the back amid repeated changes in the goalkeeper position. They have shipped an average of two goals a game so far under Ancelotti.